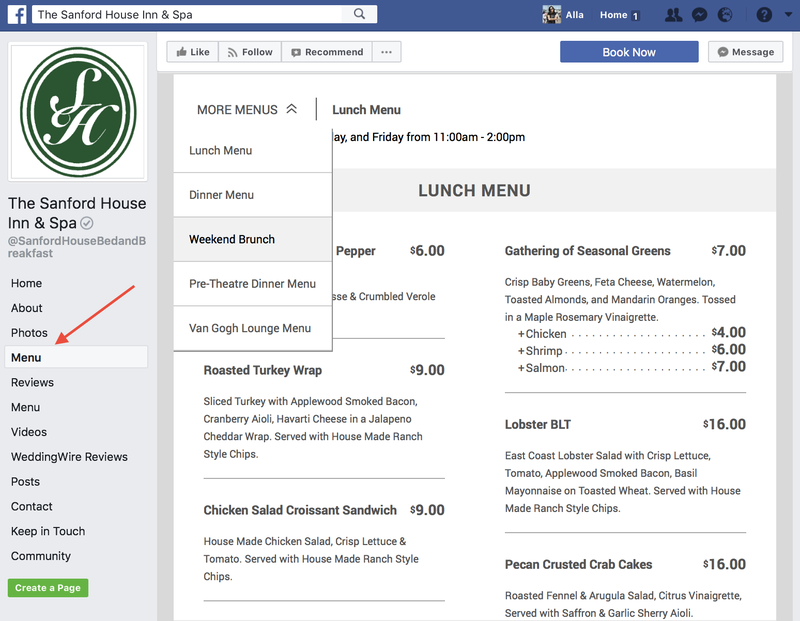 Did you know that Facebook has added support for restaurant menus? This is a great feature for reaching Facebook’s enormous audience. If you’re not using it, get on it.... Launch the program and choose “Audio” from the main menu. Next, click on “Enable detector” and go to the “Detect” tab to open your Facebook account. Play the file you want to download and the app will automatically download it as mp3. Once your menu has finished uploading or you’ve added a link to your menu, click Confirm. Restaurants that currently work with SinglePlatform will have their menu automatically added to their restaurant’s Facebook page. Step 3: Scroll down the menu until you find “Pin this page to taskbar.” Click it. Click it. If you would rather pin to the Start menu, click that respective menu item instead. When you tap to launch it, it will open IE 10 to your Facebook page. It will also include a menu that allows you to navigate to different sections in Facebook.